Almost everything we know about the assassination of John F. Kennedy has been planted in our minds over years of mainstream media (MSM) programming. Virtually every theory advanced has been either conjured up or promoted by those who control the MSM. Therefore, just like all the false leads which were published during November of 1963, much of this ‘official’ information is highly suspect. However, as far as the much more expansive JFK assassination coverup is concerned, many of those accused parties had either a direct or indirect hand. No matter what the degree of participation, a conspiracy of silence is always the most deafening. And always the most successful over the long term. The most obvious hallmark of the ‘execution’ of the assassination plot is that it was a classic CIA implementation plan. Whoever it was necessary to directly involve in the conspiracy to murder JFK was inserted into this extremely compartmentalized operation, and done so on a strictly need-to-know basis. This same modus operandi applies to the coverup as well. 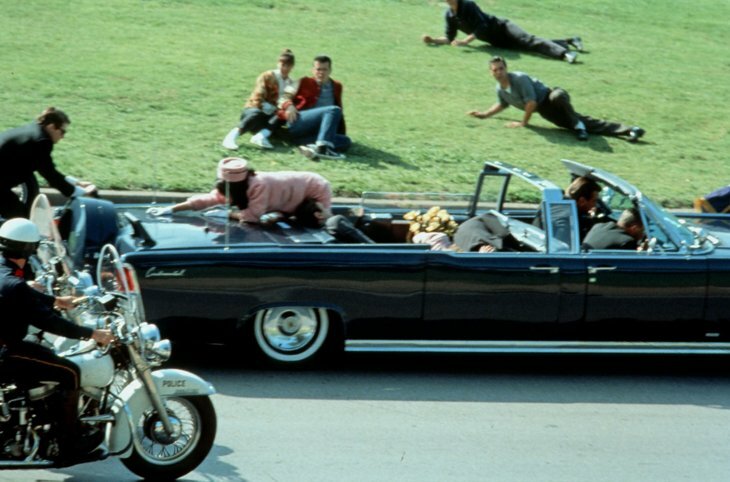 Therefore, it can be stated with absolute certainty, that certain elements within the CIA, Secret Service, FBI and Dallas Police Department had to have had a direct hand in both the assassination plot and subsequent coverup. Over the course of time, there were other law enforcement agencies which were drawn into the coverup phase by necessity. All law enforcement agencies are run according to military-style pyramidal hierarchies, so it was very easy for them to control the flow of information over the many intervening decades. Lyndon B. Johnson had both the motive and the power. There is no question that Lyndon Baines Johnson (LBJ) had both the incentive and the position of power to ensure a relatively seamless operation. He also enjoyed the protection and influence of the southern good-ole-boy network. Both Big Oil and the Military-Industrial Complex money stood squarely behind him. So did the entire Texas political machine. After all, isn’t that why Dallas why chosen as the site of the very public execution. Simply put, LBJ and his many cronies had “the whole place wired” right down to Dealey Plaza and the Texas School Book Depository. It was common knowledge at the time of John Kennedy’s election that LBJ was chosen as Vice President only because of his political prowess in Congress and his ability to deliver Texas. However, what is less well known is that the level of animosity between the Kennedy and Johnson camps was as intense as it was toxic with a capital “T”. The personal animosities likewise ran so deep that many wondered how the sentiments would play out in the day-to-day outworking of the Kennedy Administration. Quite unfortunately, the disdain that each side had for each other fed the silent participation in the JFK assassination as much as it did the subsequent coverup. Which is exactly how this whole sordid scenario played out from beginning to end. It is also how many other rogue elements were co-opted or associated with the assassination, whether there was any involvement or not. JFK did have many enemies in high places, because of his plans for world peace. For instance, the list of alleged conspirators includes everyone from Cuban exiles to Russin KGB agents, from Fidel Castro to Nikita Khrushchev. Did these accused parties have an axe to grind with JFK, or were they purposely offered up to the MSM as red herrings? Would either of them ever attempt an assassination of a sitting US president? Not very likely at all. However, just like these examples, there are many others who have been proposed as co-conspirators because of having been on the wrong side of the fence with the Kennedy brothers, both John and Attorney General Robert F. Kennedy. When you examine the list below of the “disaffected” you quickly grasp how easy it would be for LBJ et al. to oversee a coverup with great ease by way of a conspiracy of enforced silence. This list goes on, but what we have here is a group of extremely formidable foes of the Kennedy clan. Not only are ALL of them natural friends in the political world; in JFK they saw a common enemy. His policies were quite contrary to their shared desire and notion of the perpetual war economy. Consequently, there was but one solution. Cui bono? Was LBJ complicit? Not only did all the aforementioned parties gain from the coup d’etat which abruptly removed Kennedy from power, so did many other silent powerbrokers and influence peddlers, financiers and bankers, industrialists and corporate magnates. All told, the political/economic bloc of players who would rather see JFK gone was so large and extensive that the conspiracy of silence really needed no enforcement. Who, after all, would want to leave the reservation knowing that they would never get back on it. That is, if they even lived to tell their story. When the global power structure is so heavily weighted toward an outcome, there is no stopping it. Such was the case with JFK’s unseemly dismissal. Those in power at the time, who were sympathetic to the war economy cause, were enlisted to what ever degree appropriate depending on their official positions. 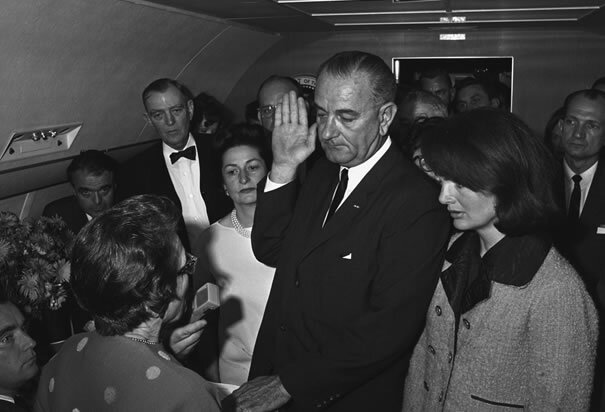 In the case of LBJ, he controlled all the right assets to ensure an efficient and wrinkle-free coup d’etat. His contacts throughout Congress, the state of Texas, industry and commerce, as well as law enforcement guaranteed that he would get off scot-free. And so it appears that he did, until Nixon aide Roger Stone appeared on the scene. There is perhaps no more damning and believable evidence of a personal LBJ motive than Stone’s quotes from the mouth of Richard Nixon. Clearly, LBJ had all the motivation in the world to eliminate his competition in the political marketplace. Doing things “Texas-style” was quite natural for him, as his behavior following the assassination boldly demonstrated. What has been observed is that not only LBJ, but there were many others who were operating completely without conscience, so intent were they to change the game of personal enrichment in their favor. “The father of the White House press secretary claims in his upcoming book, “Blood, Money & Power: How L.B.J. 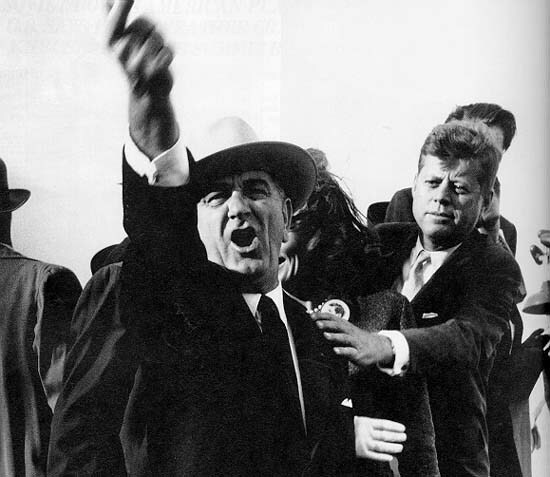 Killed J.F.K.,” that former President Lyndon B. Johnson was behind the assassination of President John F. Kennedy. Then you have Phillip F. Nelson weighing in on the matter with an equally compelling account with his book “LBJ: The Mastermind of JFK’s Assassination“. In fact, LBJ’s long list of actions and inactions immediately before and following the assassination tell a story that has rarely been told before in the MSM. There is much anecdotal evidence that has found its way into the public domain regarding LBJ’s involvement in the assassination of John F. Kennedy. So much has come to light that it is truly a wonder that the MSM has either actively suppressed it or ignored it altogether. Perhaps the following quote sums up what many were aware of at the time, but chose to ignore for their own safety and the protection of their families. that the Kennedy’s would never embarrass him again. He hated them with a passion. They were stumbling blocks to him. As Martin Luther King implies with these words of wisdom, justice will be always served in the end. In the final analysis, as this nation moves further away from the tragic events of November 22, 1963, a more objective and unjaundiced eye will be used to view them. As the great majority of individuals who were a part of the original plot pass on to other realms, it will be more difficult for those who continue to disseminate the false narrative to maintain the ‘official’ lie. This article is just one more exposé which has unveiled, once and for all, the coup d’etat which occurred in broad daylight in Dallas, Texas in the fall of 1963. May these revelations contribute to a new atmosphere of full disclosure on the part of the US Government. The federal government is now viewed with unparalleled and deep distrust. Perhaps now is the time for it to come clean concerning so many government secrets and clandestine programs which do not serve the best interests of the American people. Because of the degree of obfuscation perpetrated by the actual assassination plotters, it is impossible to say with absolute certainty who exactly did what, when and where. The level of interference, which has been run incessantly for 50 years, is both intensely deliberate and misleading. Therefore, the actual incriminating conduct on the part of LBJ with respect to the JFK execution is difficult to pin down. However, the coverup is an altogether different matter. Because of LBJ’s actions and inactions regarding the Warren Commission, it can be stated categorically that he directly participated in the coverup. Whether this occurred due to his complicity, or because he was forced to support the coverup by TPTB, is known only by those few individuals at the very peak of the decision-making process. Could LBJ have been set up to become an eventual fall guy as has now happened? Yes! Nevertheless, he chose at some point to fully participate in the coverup and never look back. In either case, there is no question that his very life depended upon it. 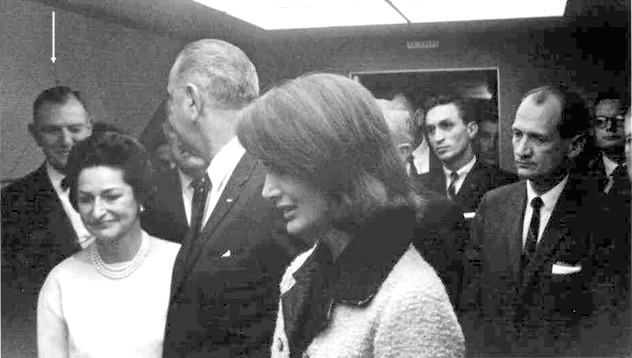 LBJ in the eyes of the Kennedy family. Here we are at the very end of an article on the assassination of John F. Kennedy and still no mention of the Lee Harvey Oswald, the officially named assassin by the US Government?! “Insiders have always known that the JFK assassination was done by the Joint Chief of Staff, authorized by a signed finding by LBJ and Richard Nixon that JFK was a national security threat to America because of his involvement with Ellen Rometsch and Mary Meyer. [They] allegedly used LSD with him, fully recorded by James Angelton, to be shared with J. Edgar Hoover, LBJ, Nixon, Bush and the USAF generals involved. It was a fully authorized OP40 sanctioned hit. Nixon started Op40, Room 40 at Langely, which mimicked a British special operations team. Oswald was undercover, working for Bobby Kennedy, a set up patsy that actually tried to stop the Assassination. Witnesses have talked about Op40 but this has been largely ignored. Of course, this is what they would have you believe.